small batch. kettle dyed. hand painted. yarn & fiber. 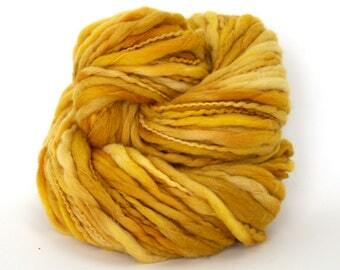 Announcement Luna Grey yarn is artfully kettle dyed or hand painted in sunny Western Colorado. My colorful yarn is a fun way to add some excitement to your next fiber project. All yarn is hand-dyed in small batches in my home studio. Luna Grey yarn is artfully kettle dyed or hand painted in sunny Western Colorado. My colorful yarn is a fun way to add some excitement to your next fiber project. All yarn is hand-dyed in small batches in my home studio. Gorgeous color. Beautiful and soft wool. Gorgeous colorway, and very nice quality! Kettle dyed, merino wool Titan yarn in Midas, Araucana & Marquesas. The Alpenglow cowl. 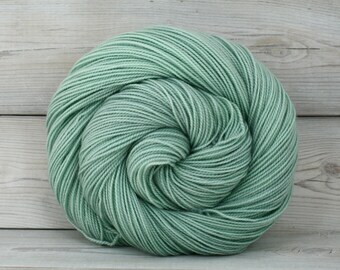 Yarn is hand dyed Luna Grey Zeta in Moss. Pattern is Alpenglow by Jackie Vlcek. Hand dyed Titan yarn in Cranberry, Papaya, Midas & Moss. Based on the sunny, western slope of Colorado, Luna Grey Fiber Arts is a small, one-woman, hand dyed yarn studio that specializes in unique hand painted and kettle dyed colorways on high quality, natural fiber yarns. Environmental responsibility is very important to me. Therefore, an ethical supply chain has been established ensuring that my wool yarns are sourced from muesling-free farms in the UK, Argentina, Uruguay and small family farms in the mountains of Peru where shepherds have been tending flocks for centuries. Water conservation practices are in place in the dye studio to reuse water whenever possible. And, all dye baths are exhausted 100% to ensure no dye is washed down the drain. All yarn is pre-soaked and rinsed following dyeing in Eucalan - a gentle, unscented, non-toxic wool wash. Further, no plastic wrap is used during the process of creating my hand painted colorways. Luna Grey Fiber Arts hand dyed yarn can be found in several retail yarn boutiques. Colorado folks can see my goods at Colorful Yarns in Centennial or Knit Knook in Conifer. On the east coast? Pop in to Frame & Fiber in Point Pleasant, NJ! Canadian friends, can find my yarn at the Itsy-Bitsy Yarn Store in Whitehorse, Yukon Territory and at Georgetown Yarn in Georgetown, Ontario. Please note that all yarn is meticulously dyed by hand in small batches. No two skeins of yarn are exactly alike. And, that's just the way I like it! I am a botanist turned at-home mom to two active, bright little boys. On those rare occasions that I find myself with a little free time…I love to knit, hike, ski and go camping with my family. I am happiest in the mountains! Retired racing greyhound. Lover of peanut butter biscuits and ear scritches. Crossed the rainbow bridge June 12, 2016. We raise chickens and bees on our 1/2 acre lot in the city. They bring us such joy and provide endless hours of entertainment. Hi There! Thanks so much for visiting my shop. I find such joy in creating one of a kind hand dyed yarn. I use professional grade dyes that yield bright, vibrant, colorfast results. I hope you find something you love in my collection! If you are not happy with your yarn, please contact me within 5 days of delivery. I stand behind my product and will do my best to find a solution. I want you to love your yarn! Yarn that has been wound into a ball/cake or that smells of smoke cannot be returned. Thanks for understanding. I accept payment via Visa, Mastercard, Discover, American Express, Paypal or Etsy gift certificates. Orders shipping to the state of Colorado, USA will be charged 2.9% Colorado state sales tax. • I will ship to the address mentioned in your Etsy purchase (not on PayPal). Please ensure that your Etsy shipping info is correct. • If you have any special requests regarding your order (such as wanting a gift note included), please leave a message in the "Message to Seller" box at the time of purchase. If you have any questions before you order, please contact me, and I will do my best to get back to you promptly! • Rest assured that your order will be beautifully and safely packaged. Your yarn will come wrapped in tissue paper tied with lovely charcoal gray and white twine. I ship in polyolefin mailers. They have proven to be strong, tear and water resistant. • I ship via US Postal Service - which I have found to be the most economical. I ship First Class for orders under 16 oz which generally means about 3 - 5 business days travel time within the US. I ship Priority Mail for orders over 16 oz. International shipping times depend upon location, of course. Shipping times are estimates only - I am not able to guarantee shipping times once a package in en route, as this is out of my control. • For International Buyers: Any taxes, customs fees or import duties are the responsibility of the buyer/recipient and have not been included in the shipping charges. • Please note that I cannot be liable for packages lost or stolen while in the hands of of the USPS. Let me know if you would like to purchase insurance for your order. • If you need your package sooner, please contact me. Express shipping is available by request for an additional fee. Convo me regarding wholesale or consignment orders. My wonderful logo was created by fellow Etsy seller, Kelly Devries of RootDown.